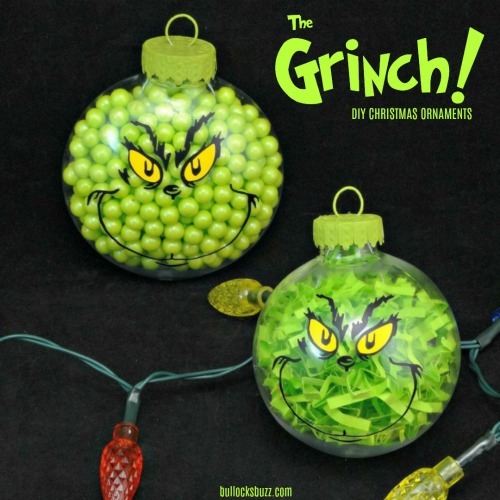 On the hunt for some easy DIY holiday decor? 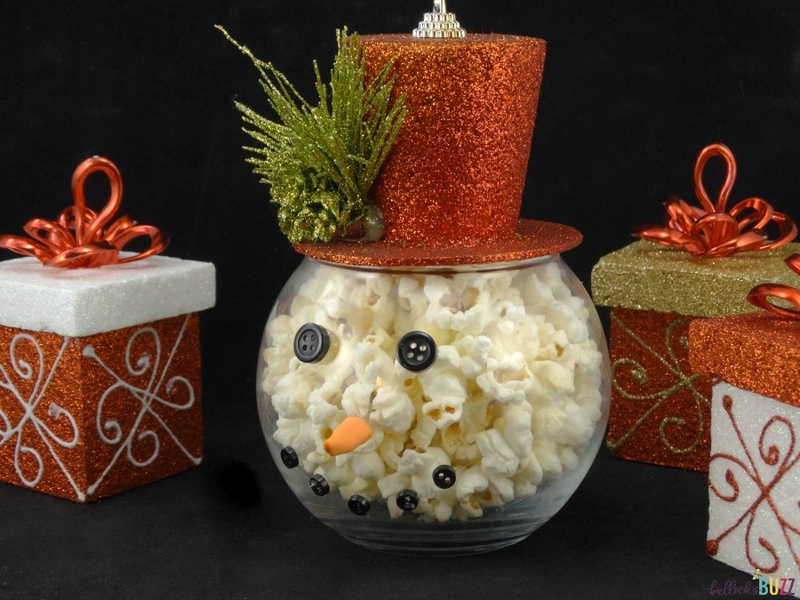 Try this DIY Popcorn Snowman Jar – a tasty holiday snack and decor in one! In five minutes or less this holiday craft will help you step up your holiday decorating and gift giving. It’s not only the most wonderful time of the year, it’s also my favorite time of the year! I absolutely love the holiday season. The lights, the decor, gathering with family and friends. And the opportunity to bake my favorite holiday recipes and create handmade holiday gifts! 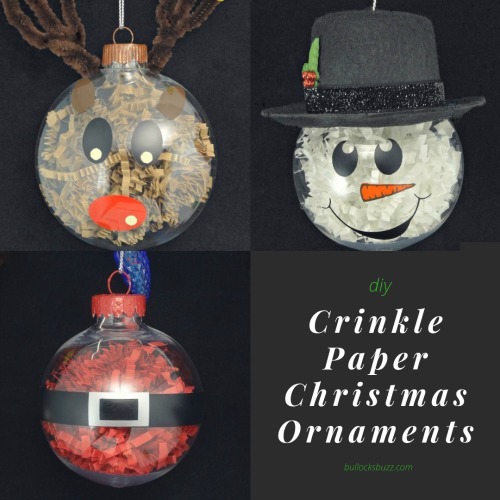 This year I created a fun little holiday craft that can be used at parties, as decor, or even as a thoughtful gift. 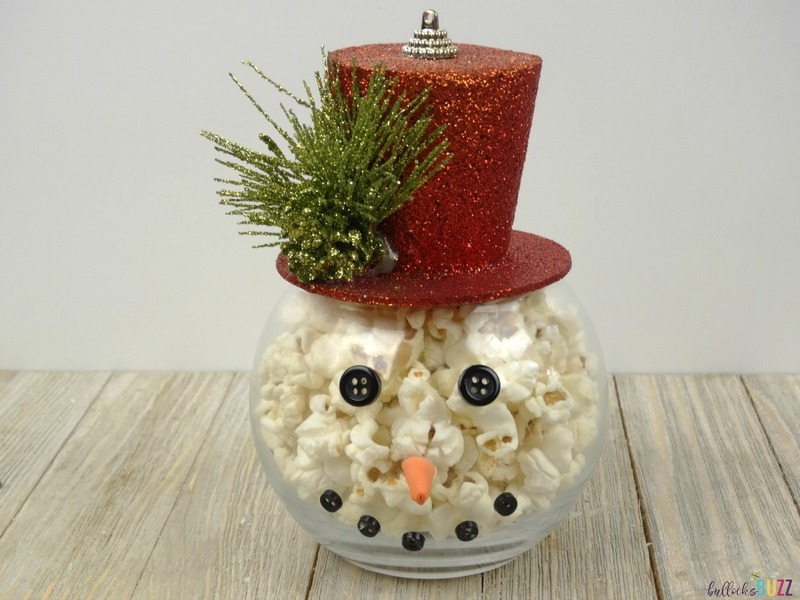 Yup, this adorable – and edible – popcorn snowman jar does double time as holiday decor and snack. Plus it would make a tasty and unique homemade gift idea. Best of all, it’s incredibly easy to make and inexpensive, too! I found everything I needed for this holiday craft, except the glue gun and glue sticks, at my local Dollar Tree. But you can also find most of it on Amazon. The hat is simply a Christmas tree ornament they had there. Begin by cutting a small triangle shape from the sheet of orange foam. 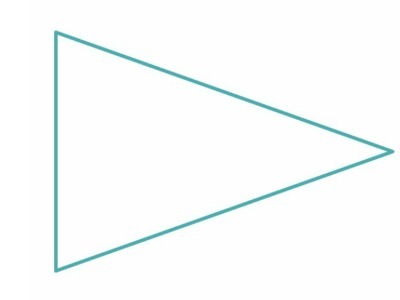 I cut mine similar to an Isosceles triangle (one short side and two longer sides) like in the image below. Next, roll the triangle up to form a carrot shape. 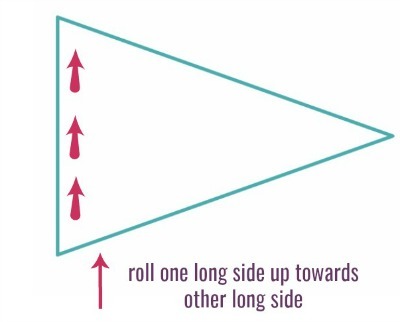 Start from one of the long sides and roll it up towards the other long side. Use a dot of hot glue to keep it from coming unrolled. If the nose is too long, simply trim some off from the flat end, then place it off to the side to dry. Using the hot glue, attach the eyes and the nose to the jar. Next, glue the buttons on the jar in the shape of a smiling mouth. …and place the hat over the opening on top. And that’s it – you are finished! Isn’t he cute?! 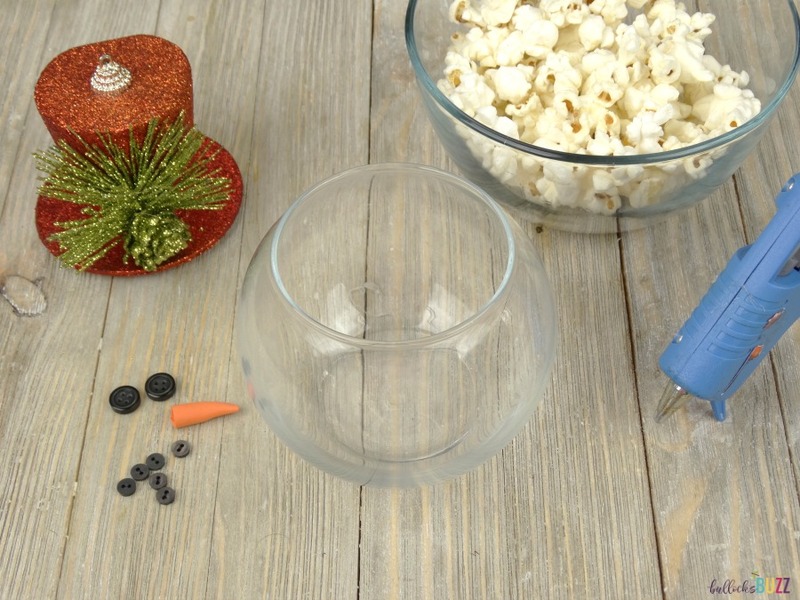 Here are some more uses for your Snowman Popcorn Jar. Whether it’s an office party, your kid’s classroom celebration, or a family gathering, decadent food and sweet treats are almost always involved, right? 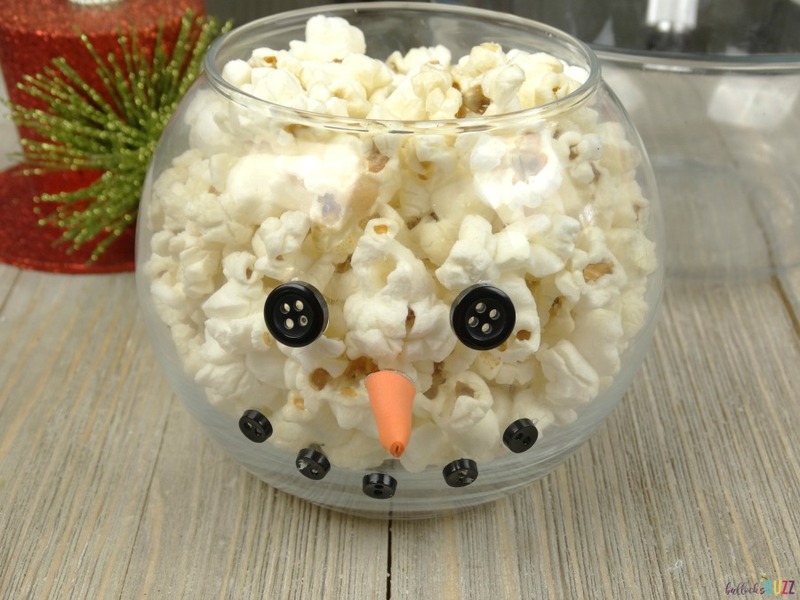 This easy DIY Popcorn Snowman Jar is a cute way to serve up those tasty treats. 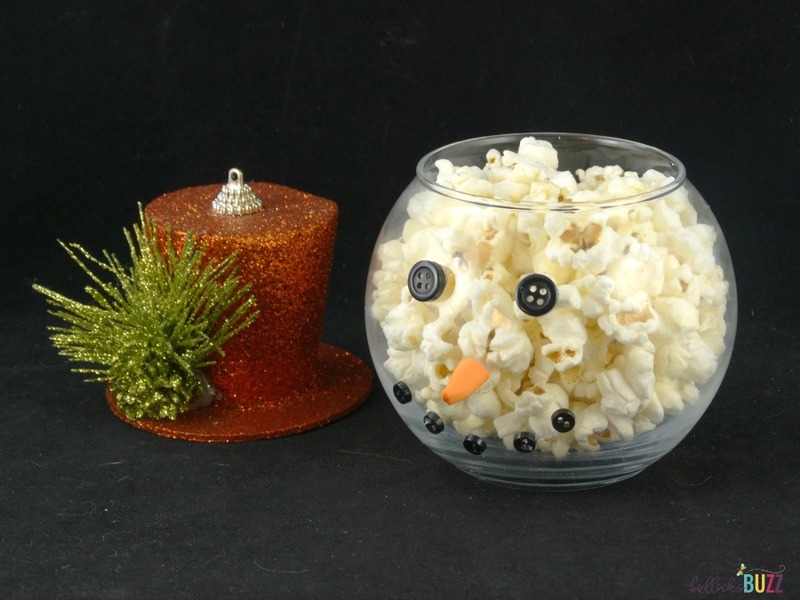 While I filled mine with popcorn, you could always fill yours with candy, cookies or whatever else your heart – or rather your stomach – desires! And depending on the size of the gathering, you could always make several snowmane jars or use a larger sized jar. I absolutely LOVE giving Christmas gifts to our family, friends, neighbors, and all of the other amazing people in our lives. However, sometimes finding the perfect gift for everyone on your list can be a challenge. Luckily, striving to make sure that every gift is special, unique, and made with love doesn’t have to be complicated. 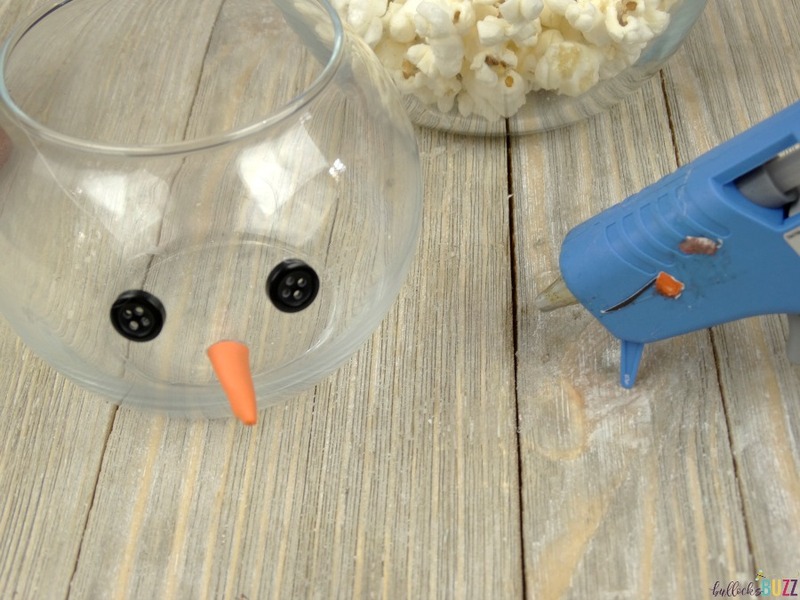 It can be simple and adorable with this DIY Popcorn Snowman Jar. In this case, you will want to either use a jar with some type of lid, and glue the hat to the lid. 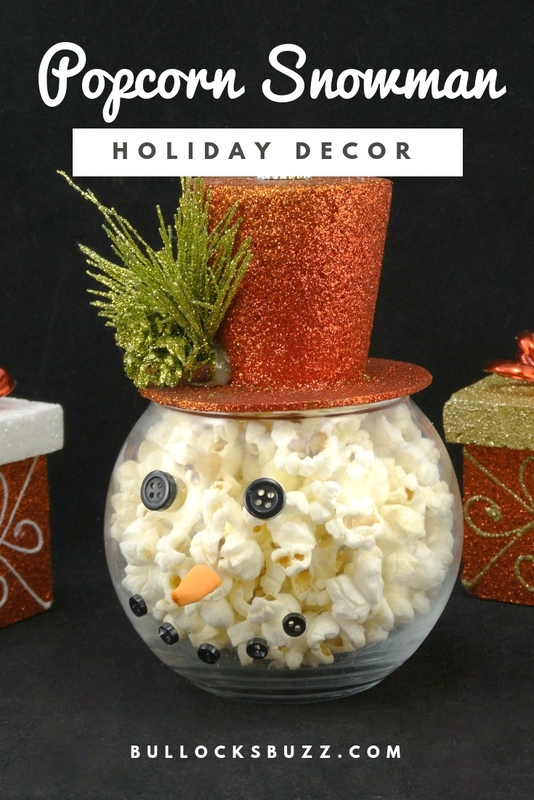 Whether decking the halls or giving a homemade gift, this easy DIY Popcorn Snowman Jar is perfect! 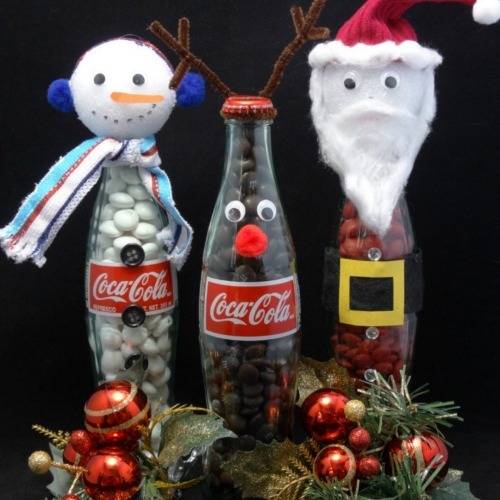 Enjoy simple holiday craft ideas?  Here’s a few more I think you’ll love! Click on the picture to go to the post.